Discover our different ranges of sofas, cushions, and outdoor carpets. Outdoor furniture There are 11 products. 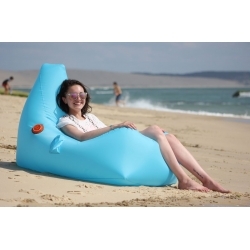 INFLATABLE POUF Looking for fruits this summer? Kiwi, pineapple, watermelon and wood, there is something for everyone ... As a seat, footstool or for decoration, just for fun exoticism and originality! Try them ... there're juicy! 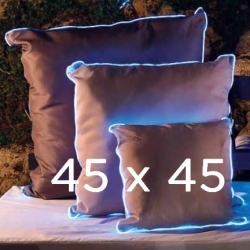 PVC coated polyester cushion indoor and outdoor use. Polyester fiber filling. Sun and waterproof.